This is a stroll through the historic part of the Old Town of Lemesos. We will first visit the Medieval Castle and Museum. The castle was built in the 14th century on the site of an earlier Byzantine castle. It is here that according to tradition, Richard the Lionheart married Berengaria of Navarre and crowned her Queen of England. In the surrounding area there are interesting stone - built warehouses, many of which have become restaurants and exhibition halls. Some of the buildings of the 1930s were used a carob storage houses and mills. Traditional blacksmiths' workshops add to the atmosphere of the area, which was the trading center of the city. The Great Mosque or Kepir Mosque is a sign of the coexistence of the two communities of Lemesos (Greek Cypriots and Turkish Cypriots). 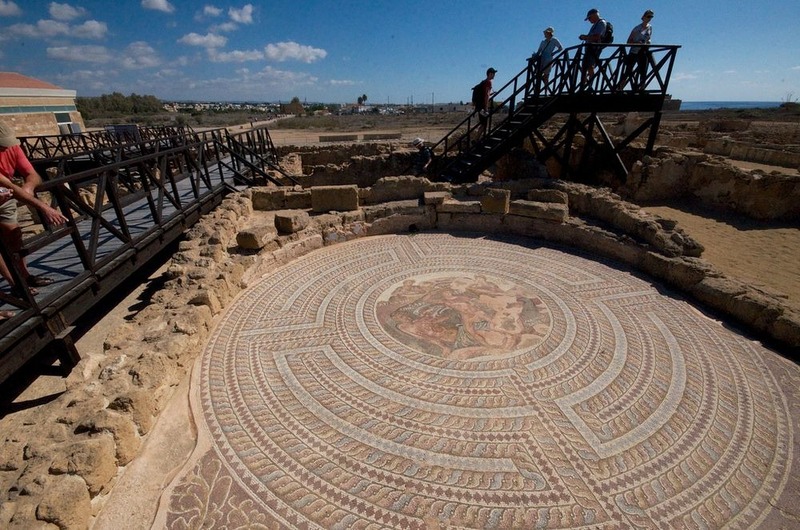 Built in Ottoman times, on the ruins of a previous Byzantine and a later Gothic church, it is an example of the different historic phases Cyprus went through. The Cathedral of Agia Napa stands proudly in the heart of the residential and shopping area of Lemesos. A building of the 19th century with traditional Byzantine architectural elements. 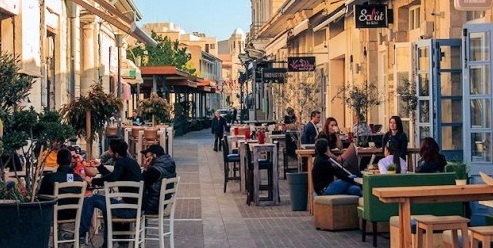 The surrounding area is a blend of old and new, showing recent developments close to the buildings of the late Ottoman Period with balconies and arched entrances with decorated walls, featuring a post baroque influence. 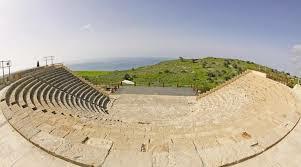 Price per person: €60 (Price includes bus transfer, professional guide, entrance fees to Kourion and Paphos Mosaics and lunch with 1 drink). Driving through the citrus groves of Phassouri we arrive at the Kolossi Castle. Built by the Crusaders in the 13th century, this well preserved building stands three stories tall and it is a good example of military architecture of that period. We continue our tour with a visit to the Wine Museum of Cyprus. 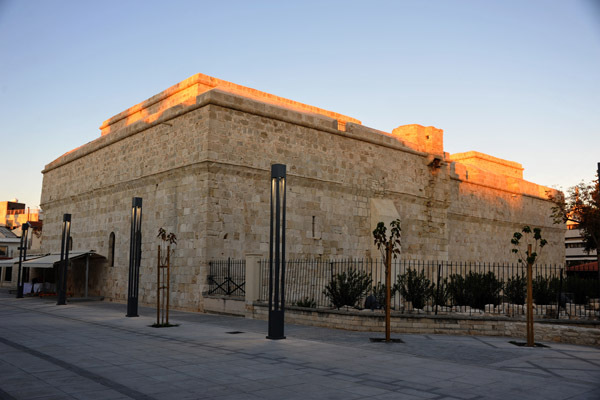 Here in a nicely constructed building with stone and tiles you can learn about the history of winemaking in Cyprus, taste and buy a range of Cyprus wines. 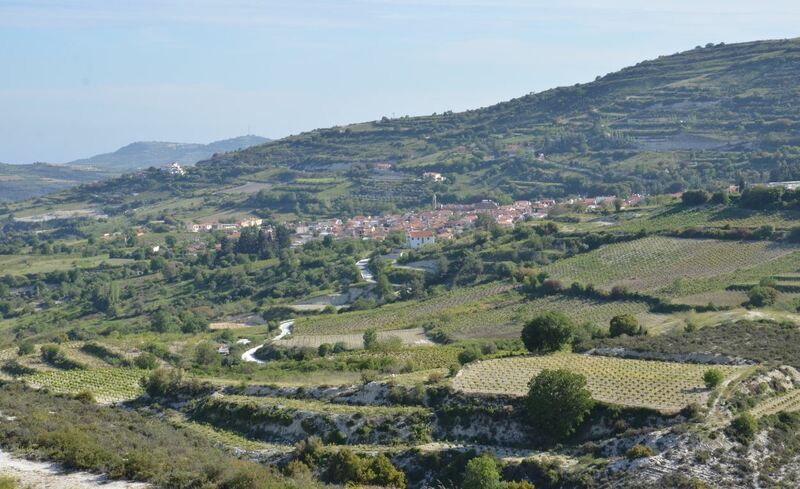 As we drive on upwards passing by pretty villages and beautiful countryside we will then stop at Ayios Ambrosios village for wine tasting at a local winery and an intimate behind-the-scenes look at the fascinating winemaking process. One of the most picturesque villages is Omodos surrounded by vineyards, famous for its true Cypriot architecture with beautifully restored buildings, its old wine press, known as “Linos”, and the monastery of the Holy Cross. Standing by the stone paved square, the monastery is known for its collection of interesting ecclesiastical objects. 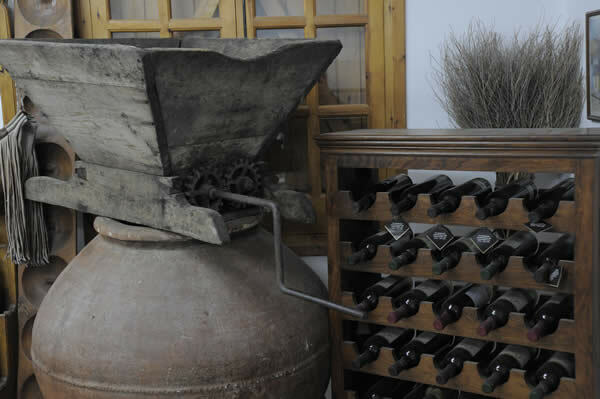 You will have time to stroll around the narrow streets of the village, visit the old wine press and taste some local wines. In the village there are small shops famous for their “vitraux”, handmade pieces of stained glass, icons, handmade jewels and embroidery all traditionally made. Lunch will be offered at a Traditional Tavern. On the return journey we will stop at Lania, the traditional artists’ village. Price per person: €65 (Price includes bus transfer, professional guide, entrance fees to Kolossi Castle and wine museum, wine tasting and lunch with 1 drink).